Every time I reflect on where I ate and what I should recommend. I thought it would be a good foodie's practice to record his favourites periodically and publish them every 3 months or so. The following are my favourites as of today. 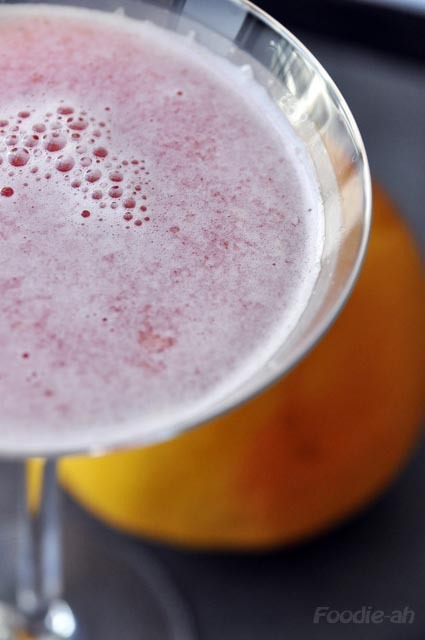 - Tippling Club - Inventive molecular cuisine, great desserts and cocktails! 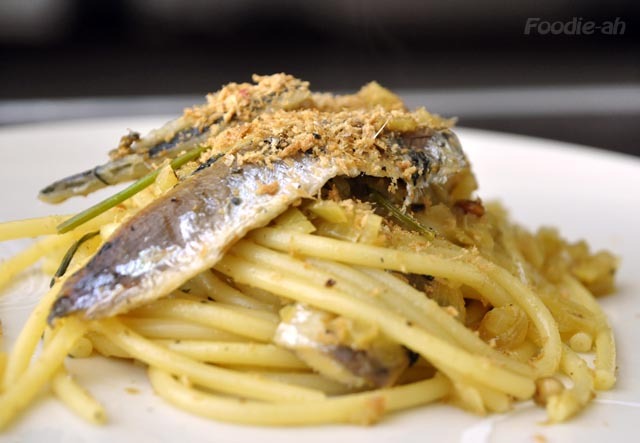 Pasta with sardines ('sarde' in Italian) is a classic main dish of Sicilian origins, unique in its composition due to the combination of fish, vegetables, fruits and nuts which creates a contrast that is typical of Sicilian/Arabic cuisine. 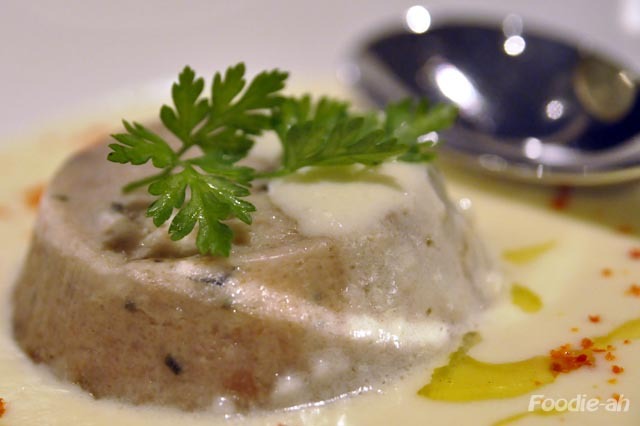 The origin of the dish is legendary and it is usually attributed to the the Arabic general/chef Eufemio who, when he conquered the Sicilian island, was forced to provide food for his troops within the limited means of what were available. 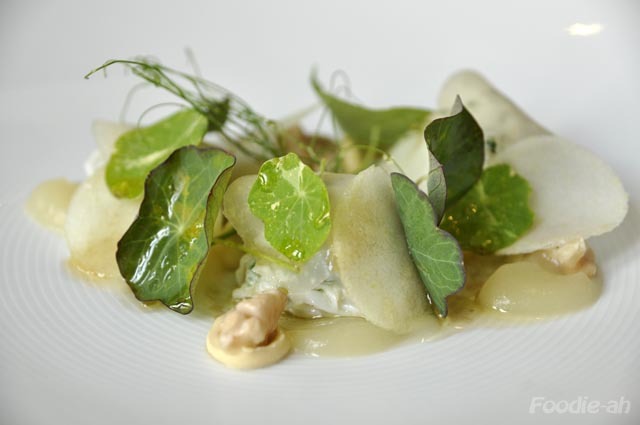 He made use of fish, wild fennel, pine nuts, raisins and saffron. 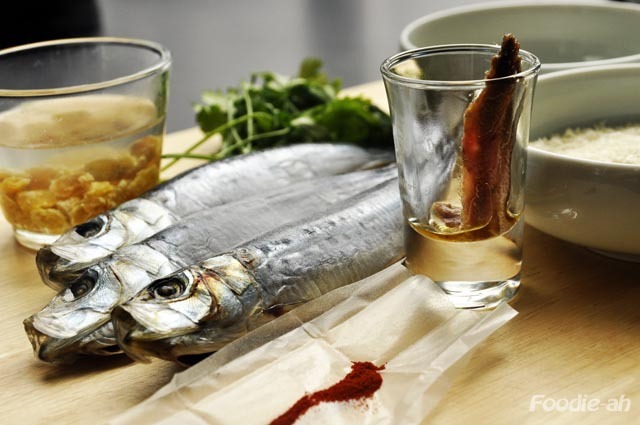 The tradition of enhancing flavour of the fish through the use of wild fennel probably dates back to the Greeks and the Romans, while saffron and raisins are certainly of Arabic origins. Unfortunately I don't yet have wild fennel available here in Singapore, so I had to make do without it. I have ordered the seeds from Sicily, and I am planning to cultivate it myself in my herb garden. I will make this again when I will finally have one of the main ingredients. Said that, I can guarantee that this pasta tasted just as excellent without the wild fennel, despite missing one layer of flavour. In order to add some colour to the pasta I replaced the wild fennel with Italian parsley, since that's what I had in the fridge. I bought the sardines frozen from Liang Court at S$12.80 for 6. A pretty good deal! 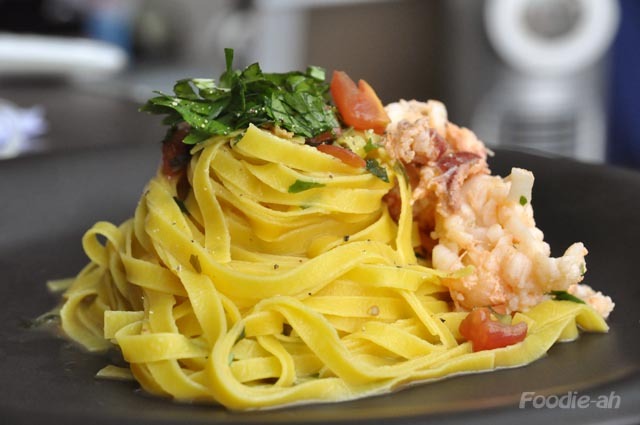 The bucatini can also be purchased at Liang Court. All other ingredients are commonly available at any supermarket. Put the raisins in warm water and let them soften, the longer the better. 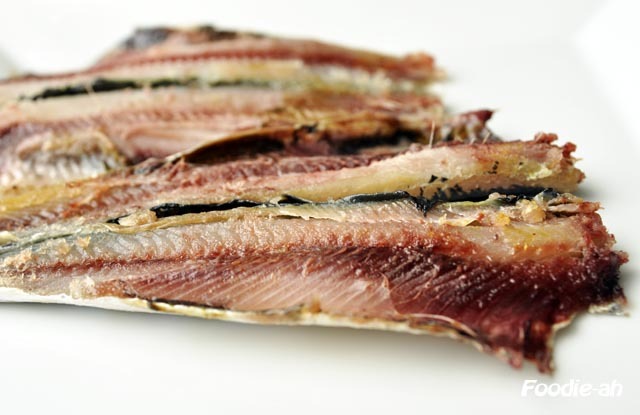 Remove the heads and tails from the sardines, split them into 2 lengthwise and remove the innards. Carefully extract the spine and as many of the little bones as you can. Put the heads and bones into a small skillet, quickly fry them in olive oil and top them with a glass of water. 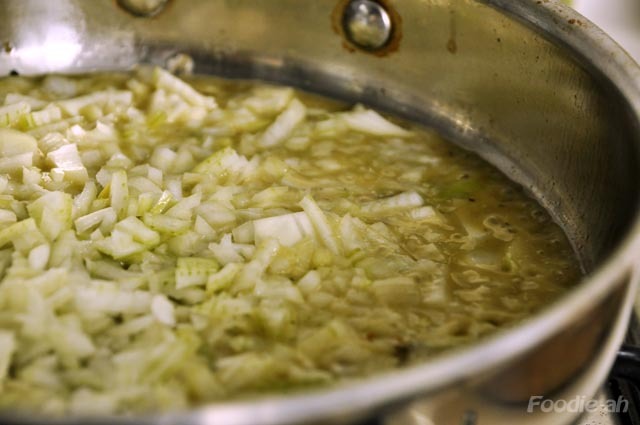 Bring to the boil, then simmer over low heat (if you happened to have some fennel, I think a few chunks of it would hugely benefit this quiuck stock!). 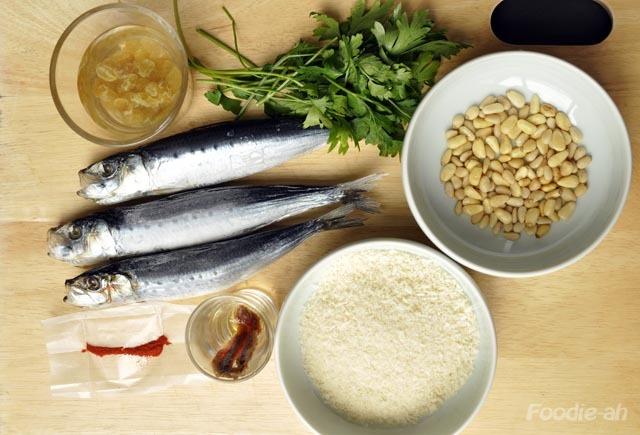 Wash the sardines, sprinkle them with salt and set them aside. 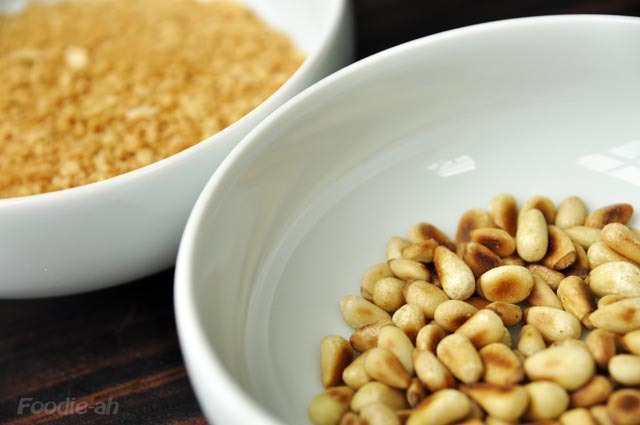 Bring a large frying pan to medium heat, then pour the fresh pine nuts onto it. 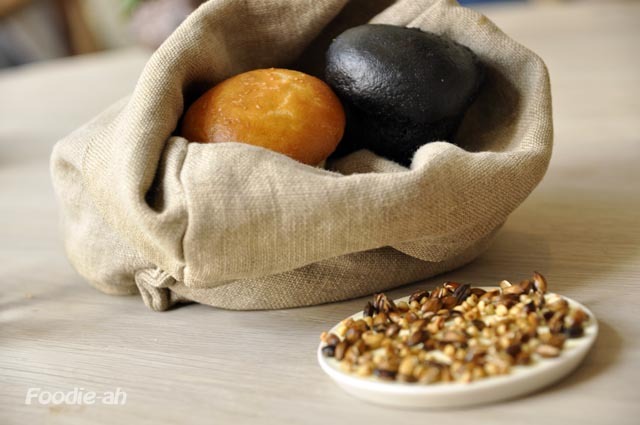 Gently keep shaking the pan, rolling the pine nuts until they are nice and golden on both sides. Put them back into a small bowl. 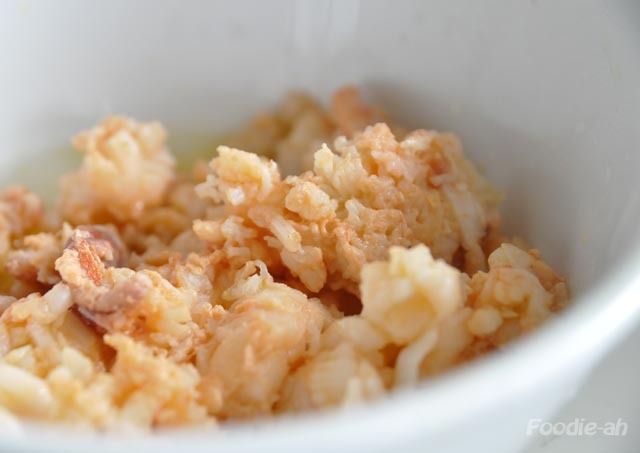 Repeat the same operation with a handful of 'panko' (breadcrumbs), until from yellow they turn light brown and crispy. Remove from the pan and set aside. 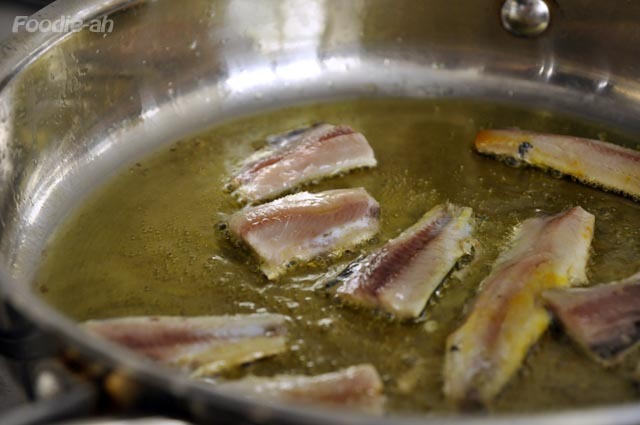 Pour generous olive oil into the same pan, and fry the sardines skin side down first for a minute over medium heat, then turn them to the other side and cook for another 30 seconds. Remove from the hot pan with a large spatula, paying attention not to break them. It is in fact important that your pan is not a non-stick one (as pictured, a solid metal pan is the best choice). Raise the heat to high, then deglaze with a splash of white wine. The reaction should create a cloudy, creamy sauce. 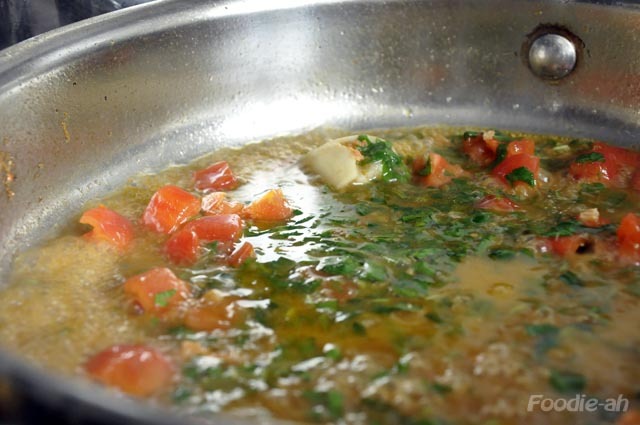 Reduce the heat to medium, pour in the finely chopped onion and keep stirring until it slowly browns. In the meantime, bring a large pot of water to the boil for the bucatini. When the onions are nicely golden and reduced, dissolve a pinch of saffron and the anchovy into half a glass of the boiling water, then pour into the frying pan together with the onions. Also add the raisins, the pine nuts and the whole parsley stems, unchopped. Salt the boiling water and add the bucatini. 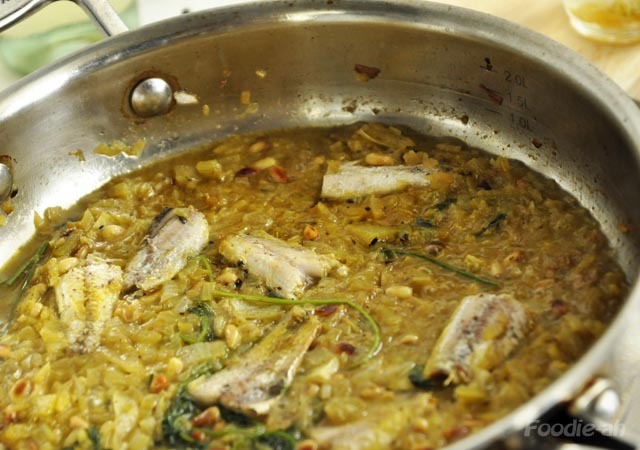 Put some of the sardines into the pan which should now be on low heat and reserve a couple of them for decoration. 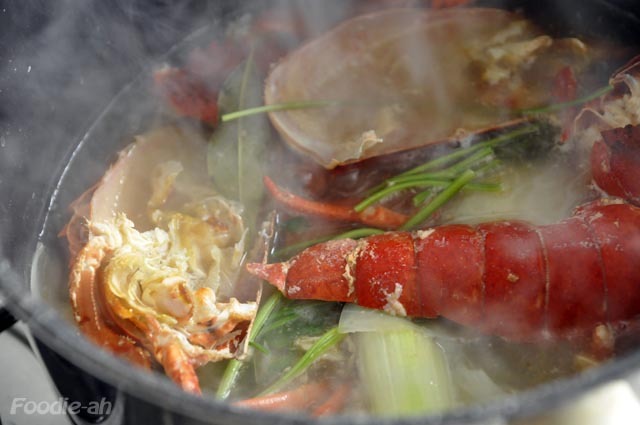 In the meantime, strain the stock which you have been simmering on the side with a fine sieve, and gradually add it into the pan as more juices are needed. When the bucatini are ready (follow the directions on the packaging), drain them and put them into the sauce pan. Mix well, then top up with some toasted breadcrumbs and freshly ground black pepper. 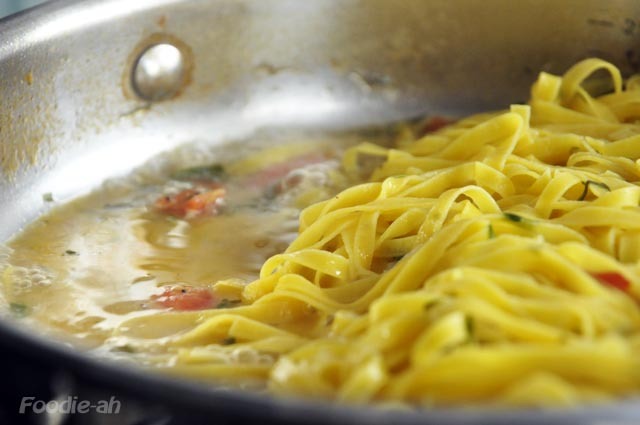 Make sure that there is enough juice in the pan when you add the bucatini (see pictures), and add either some of the stock or some of the bucatini cooking water to maintain the right level of juiciness. 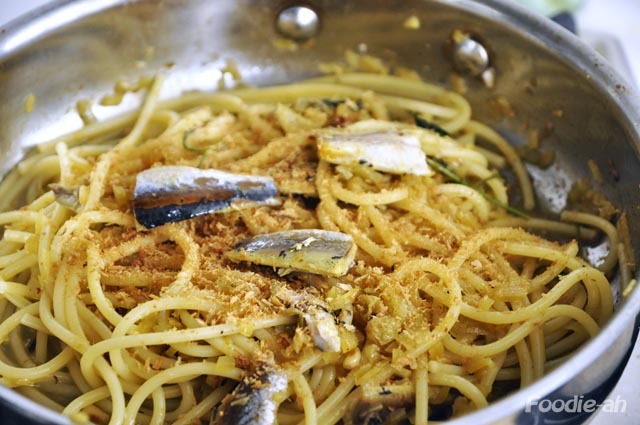 Place a portion of bucatini on each plate, then top with some of the onions sauce, juices, decorate with 1-2 sardines and sprinkle with additional breadcrumbs and pepper. I had this pasta at Gattopardo, and really liked it. I must say I enjoyed mine just as much despite the missing finocchietto, but hopefully I will be able to grow that successfully. It is rare that I have dinner in a restaurant and come out satisfied with every dish I chose to eat. When this rarely happens, I come out with a long lasting feeling of fulfillment. That was the case with Cocotte, which I was lucky enough to try last night, since my friends did their homework far in advance with the booking. It seems to be incredibly popular these days, and reservations need to be made 1 to 2 weeks in advance. 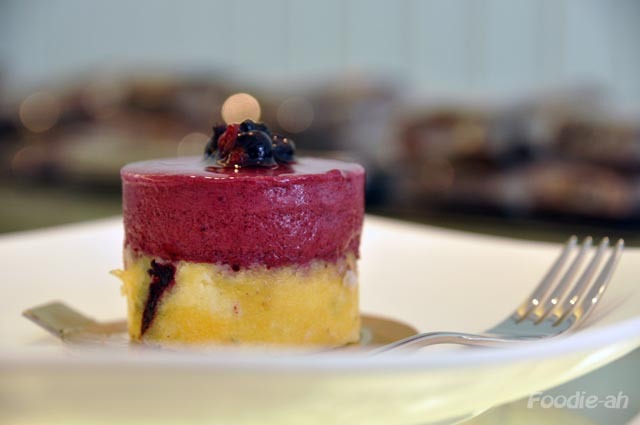 The restaurant is located within Wanderlust, a new boutique hotel opened by the owner of the Majestic Hotel. 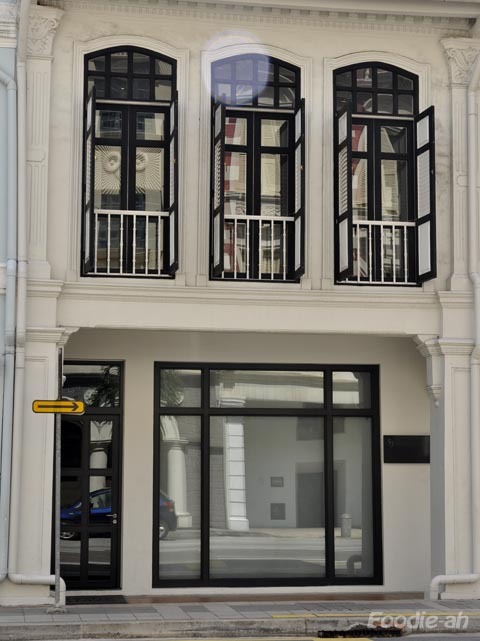 Located within the little India neighborhood, the building with its sophisticated lighting really stands out. The interior design reminded me of London for some reason. 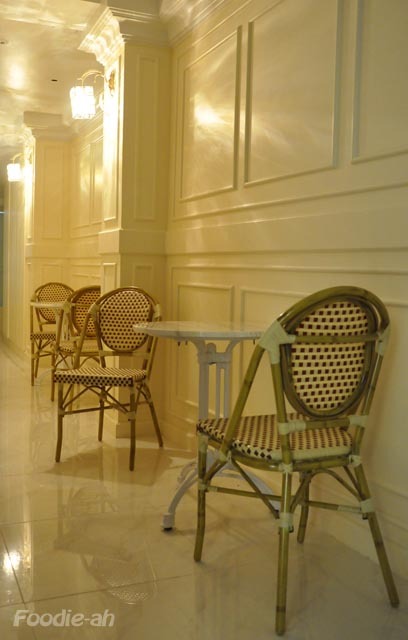 The dining room is integrated with the hotel reception and it is modern, cool and creatively decorated. It really doesn't feel like any other restaurant/bar I have been to in Singapore. There is a generous distance between the tables so the restaurant never feels overcrowded, and the kitchen is open concept. 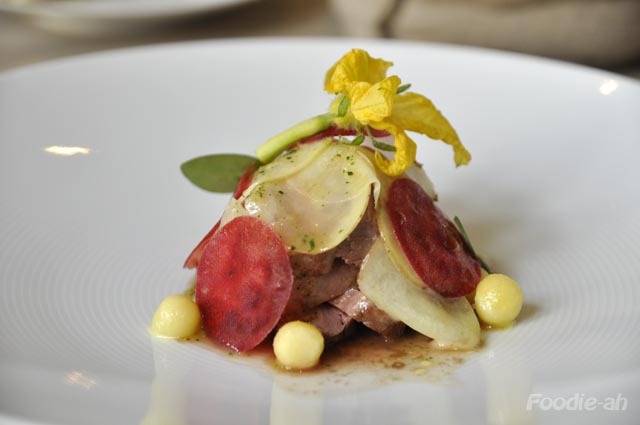 We ordered quite a few items from the menu to get a good feel of the Chef's repertoire. The food style is rustic/traditional French, and a few dishes came highly recommended by the waiter. We started with the deep fried tripe, which I didn't try since I have never been a fan of pig's intestines. 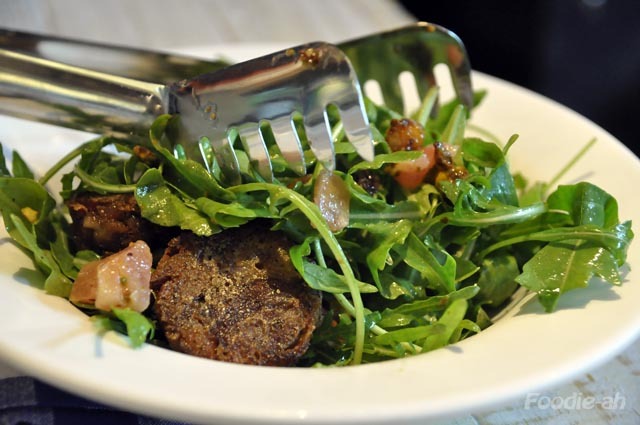 The pig's trotters were mainly composed of lumps of fat, made into crispy patties and served with a rocket salad. Very tasty, although a bit too fat for one person to have it all. We shared one piece each amongst the 4 of us and that felt just right. The roast pork collar was served with a generous amount of mustard and at first sight I thought it would overwhelm the dish. Despite my first impression, the sauce didn't suffocate the pork and all the ingredients came together very nicely. 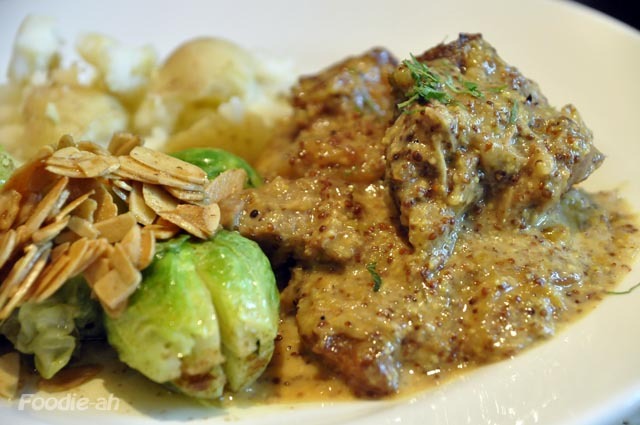 The slightly bitter Brussels sprouts, the crunchy almonds, the crushed potatoes and the juicy pork with the added tang from the creamy mustard sauce. 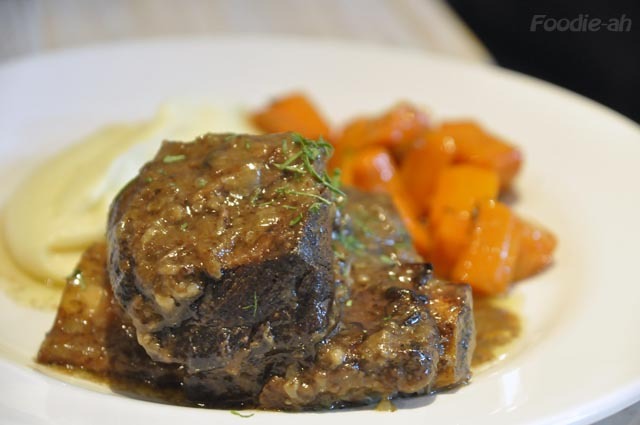 Even more outstanding was the braised beef in white wine. The meat was succulent and rich and fell off the bone. This was the most appreciated dish out of all. 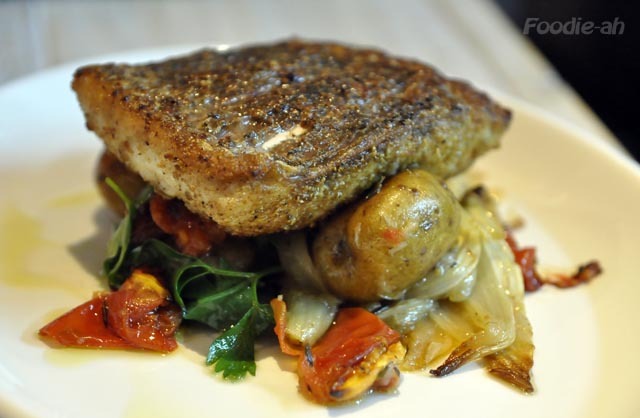 There was something special about this pan seared seabass: the fish. It didn't taste anything like the regular seabass you have in Singapore. This really brought back memories of eating fish in Italy. Below the crispy skin, the white flesh was incredibly juicy and released that subtle sea flavour that reminded me of the Mediterranean. 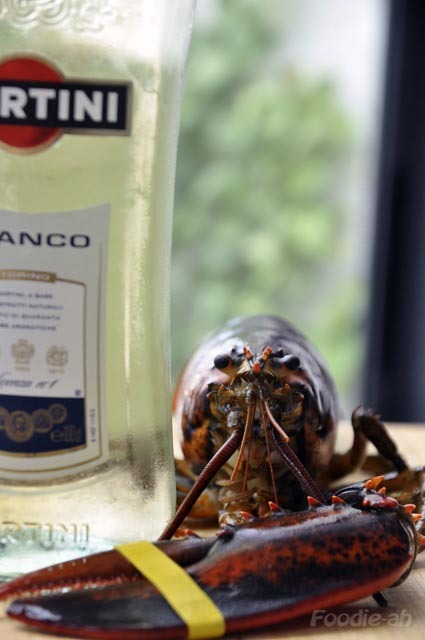 We didn't ask the question, but we suppose the fish was actually imported. The fennel, potatoes and a few oven dried tomatoes added rustic flavour and textures to this simple dish. 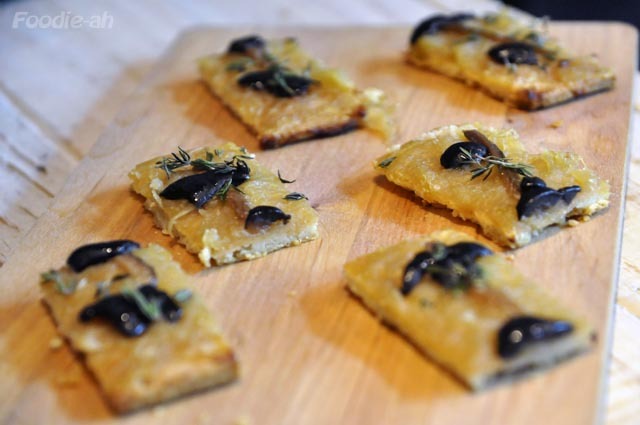 This classic French savoury pastry is made from a crumbly-dough, reduced onions, anchovies and olives. 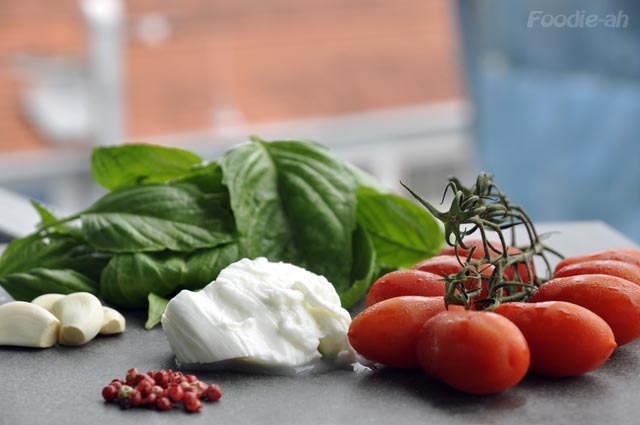 This is a classic combination of flavours also found in Italian cooking. 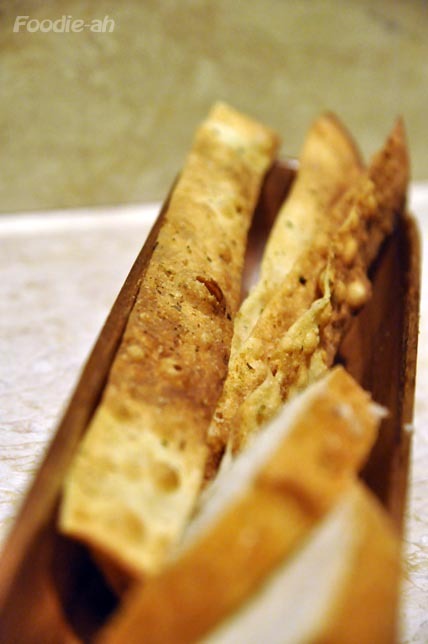 I liked the dish, although I would recommend sharing it with people, since you will probably find that 1 or 2 slices will be sufficient to stimulate your appetite at the start of the meal. 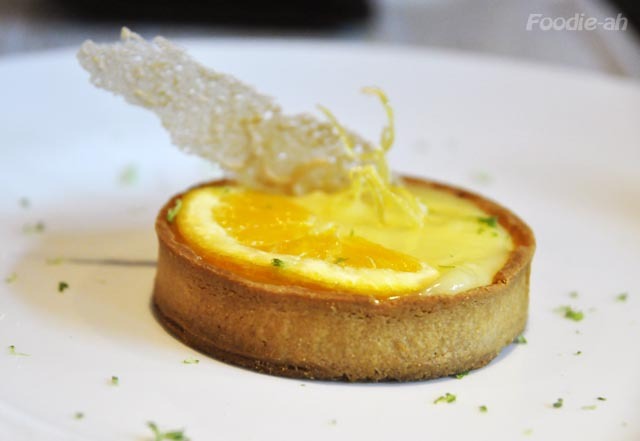 The citron tart was well presented, but I wouldn't judge it since I never like lemony desserts. I can just say that everybody else enjoyed a little taste of it. On the other hand, I had most of the apple tart tartin, which was topped with a scoop of smooth vanilla ice cream (removed before taking the picture). 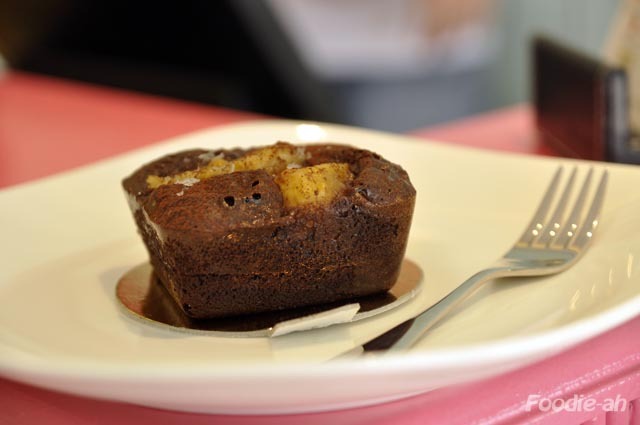 The dough was crumbly and thin, topped with chunks of cooked apple. 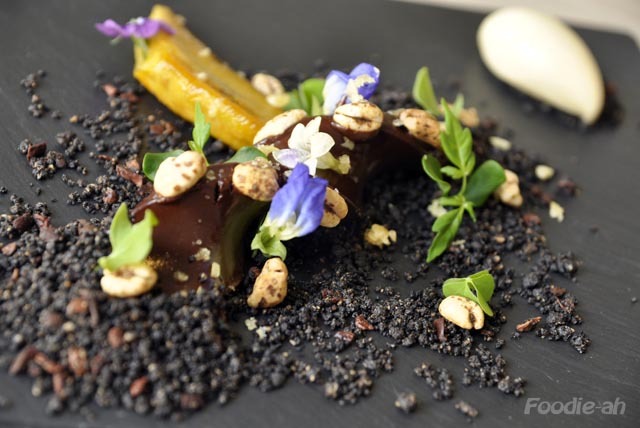 I always prefer non-fruity flavours on my desserts, so this wasn't my favourite dessert, but it was well put together. I was very impressed with Cocotte. 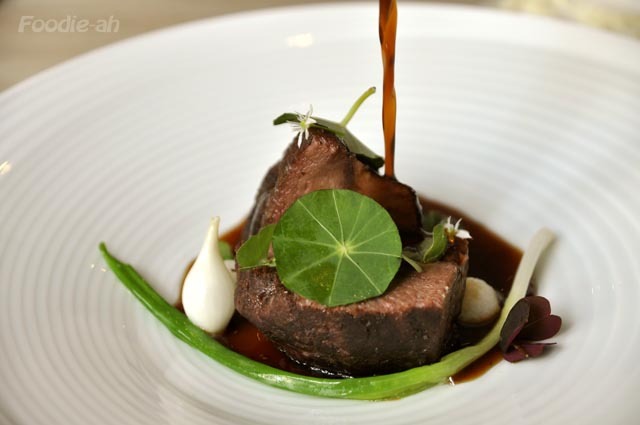 Every detail has been taken care of: setting, comfort, service, flavour, presentation. I will definitely go back to have the beef ribs again and also to try some of their other dishes. The Poulet Roti seems incredibly popular, so much that it was no longer available that night, so I will probably reserve it prior to my next visit. In terms of classic French food, this restaurant is currently on top of my list, together with Bistrot du Sommelier. 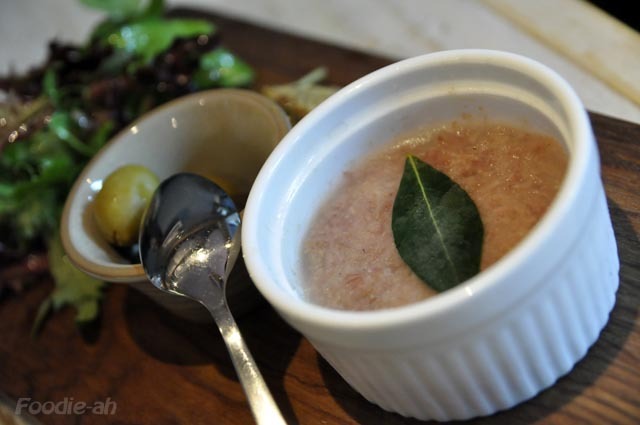 Gattopardo opened a few months ago at the Fort Canning Hotel, and very rapidly achieved its success by serving Sicilian style Italian cuisine. Do not be discouraged by the ongoing works when you get to the location, since they are still renovating the whole building. 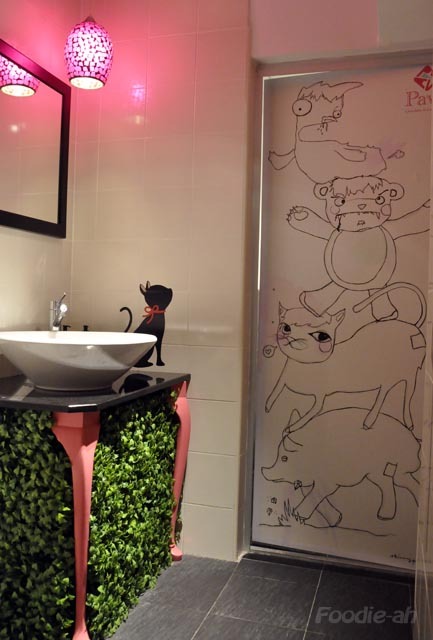 Gattopardo seems to be the first to have opened within the development. 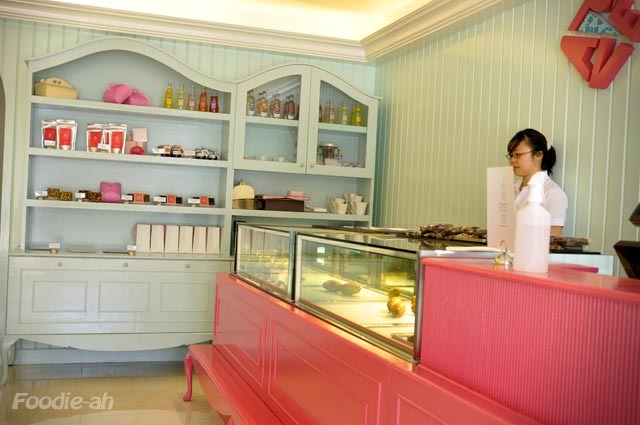 The interior is extremely spacious and elegant, softly lit in some areas and brighter around the fish and pizza counter. I chose to sit at the counter to be in the middle of the action, with a view on the kitchen and the proudly displayed fresh fish selection. I also found that central part of the restaurant to be less noisy than the tables on the side. Unfortunately the high ceilings, stone structure and lack of soft furnishings tend to encourage raising levels of noise in the dining room. 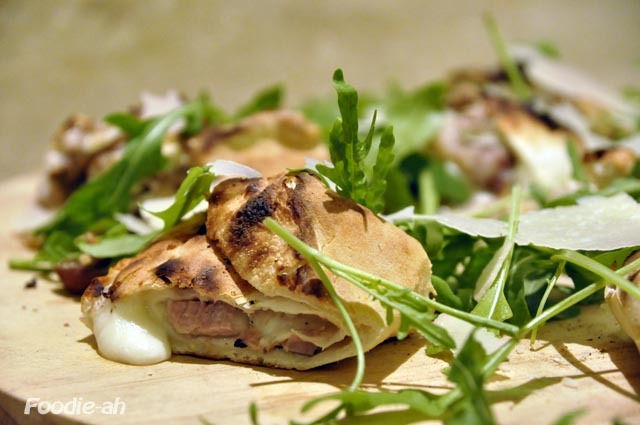 The Arrotolata (S$24) is a rolled up pizza, stuffed with Smoked Mozzarella, Suckling Pig, Porcini Mushrooms, Grape Sauce and topped with fresh Rucola Salad. Great balance of quality ingredients, plenty of cheese oozing out of the pre-cut slices and abundance of fresh rocket to lighten up the flavour. The texture of the dough is not as dry as other pizza restaurants I tried in Singapore, leaning towards the southern Italian/Neapolitan style. Even more impressive was this traditional Sicilian style bucatini (S$26). 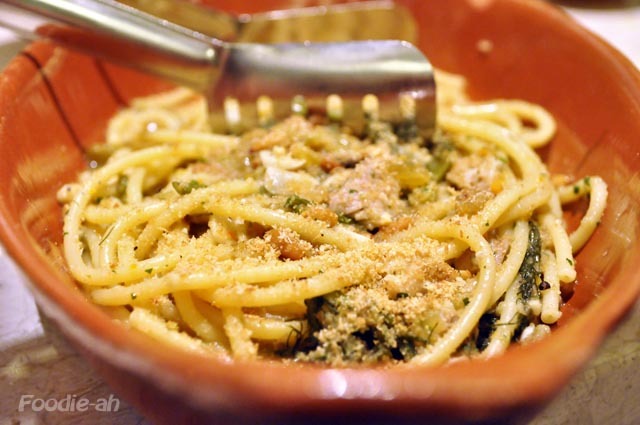 Most Italian restaurants tend to serve the usual "standard" Italian pasta dishes (whether they really are as they are meant to be), and just stick to those to be safe. 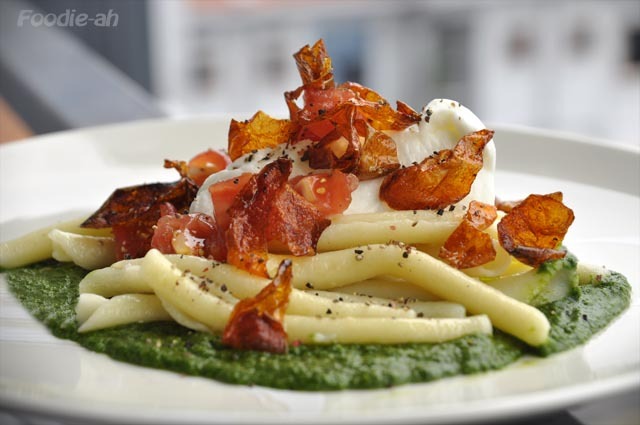 It is rare to find real regional pasta dishes on a menu. Gattopardo is one of those rare restaurants, as they sourced the hard to find ingredients to serve something you would not find elsewhere. 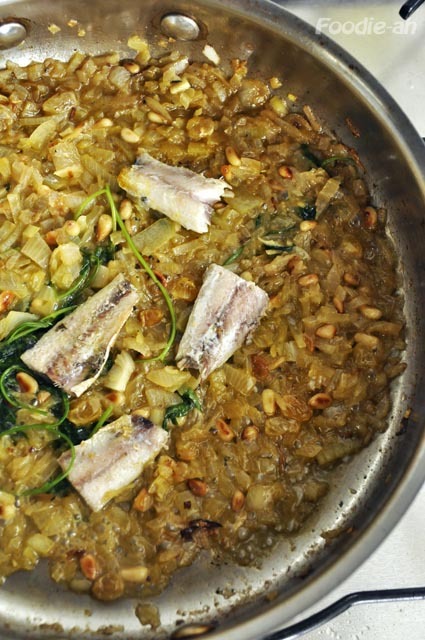 Wild fennel, fresh sardines from the Mediterranean, roasted pine nuts, saffron and raisins. It sounds like a very rich combination, but in actual fact the result is extremely well balanced. I can count on one hand the times I was as delighted to enjoy the essence of well executed regional Italian cuisine here in Singapore. The Ravioli con Burrata e Crescione (S$26) was also very good. 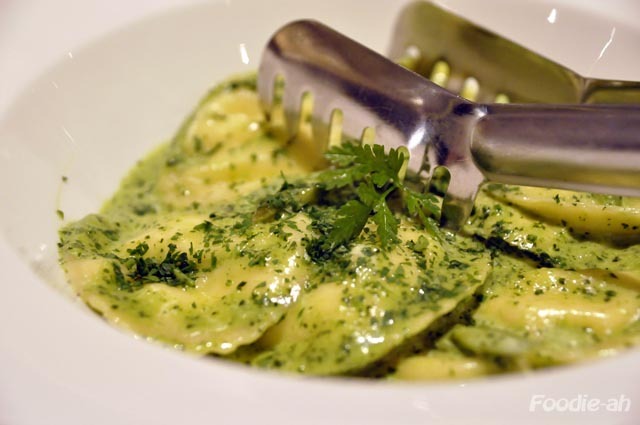 The flavour of the burrata was very intense when biting into these ravioli. 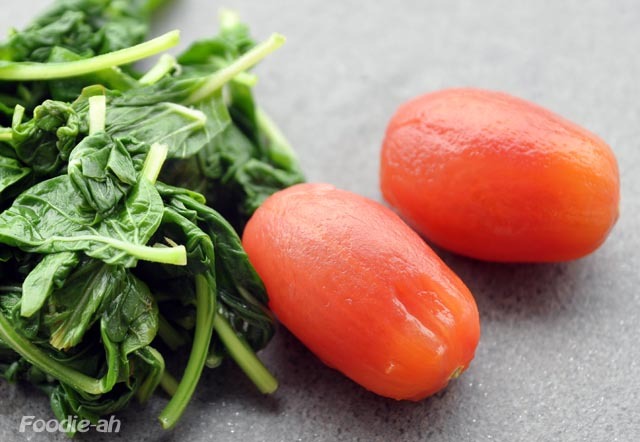 The watercress sauce was creamy with finely chopped watercress and parsley and a dash of stock to enhance the flavour. I was not as impressed by the Cipolle di Tropea e Ragusano (S$18), an onion pudding served with a Ragusano cheese fondue. The cheese itself was deliciously intense, but the pudding didn't have sufficient flavour to contrast it. I would have expected it to distinctly taste of slowly braised onions, but the onion taste was really just shying in the background. The service was extremely professional and attentive I must say, far above average. 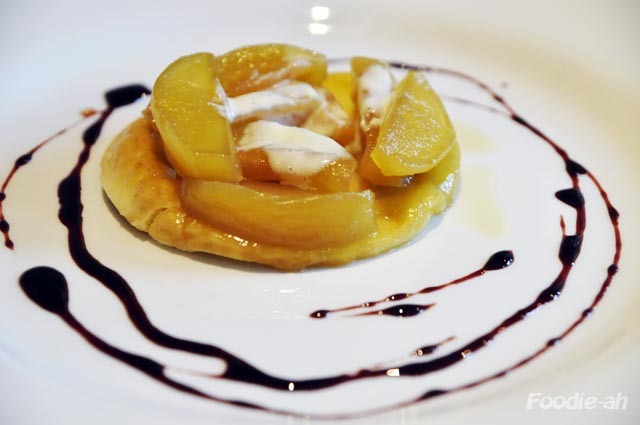 I would definitely recommend a visit at Gattopardo if you are after authentic Italian cuisine. Their prices are reasonable on the items I have chosen, with a total bill of S$127 (10% Citi card discount included) with a glass of white wine and a bottle of water. 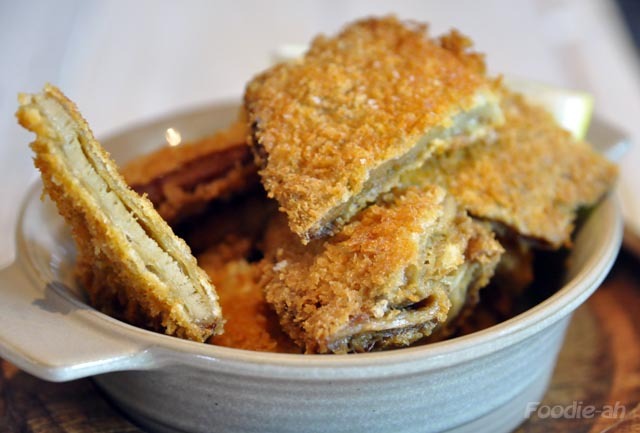 They have quite a few more regional dishes on the menu that are to be tried, so I will be going back for more. 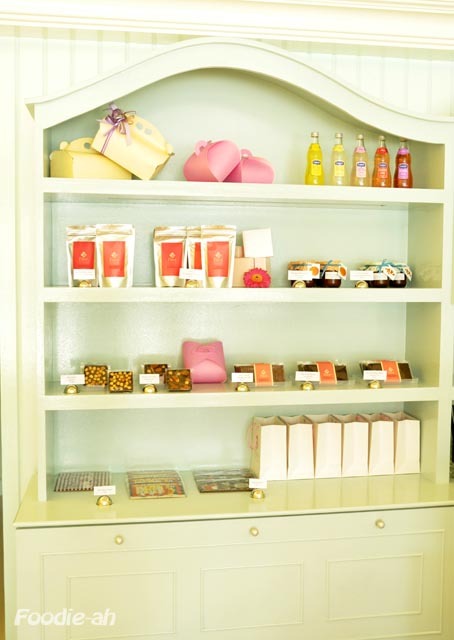 I blogged about this magnificent chocolatier in my previous post. 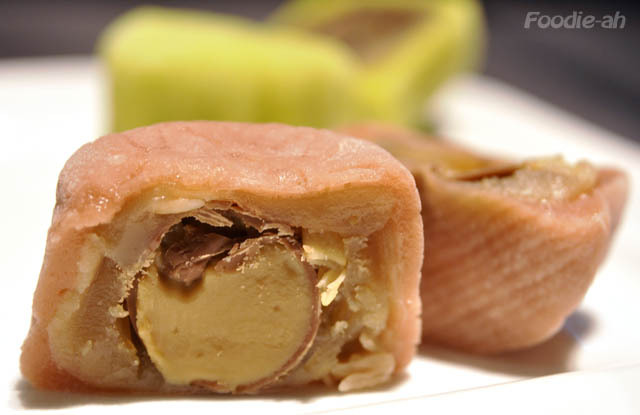 We are back to the same shop, this time for a pre-taster of what the annual mooncakes tradition is going to be like at Jewels. A full description of their 2010 mooncakes can be found here. Let's start with the classics. 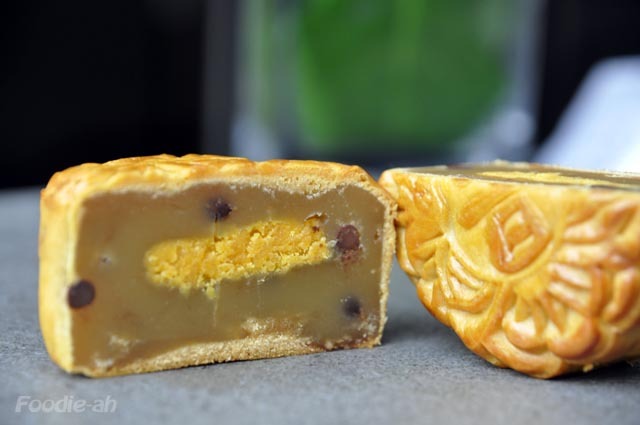 The baked double yolk mooncake was indeed very good, since the yolk itself was dry and salty, creating a contrast of texture with the soft and sweet lotus paste. Definitely one of the best I had to date. 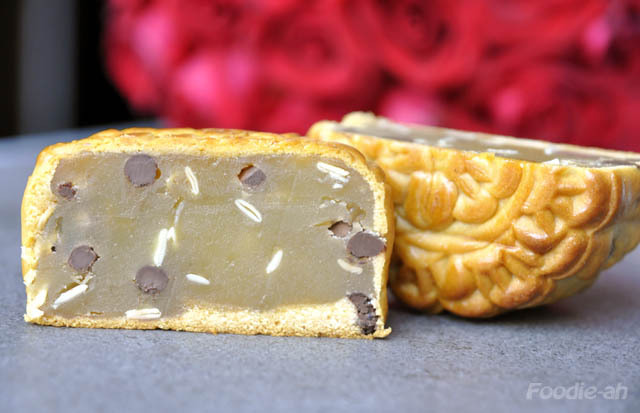 The baked mooncake with black pearl chocolate and winter melon seeds was my favourite out of the three, due to its uniqueness. 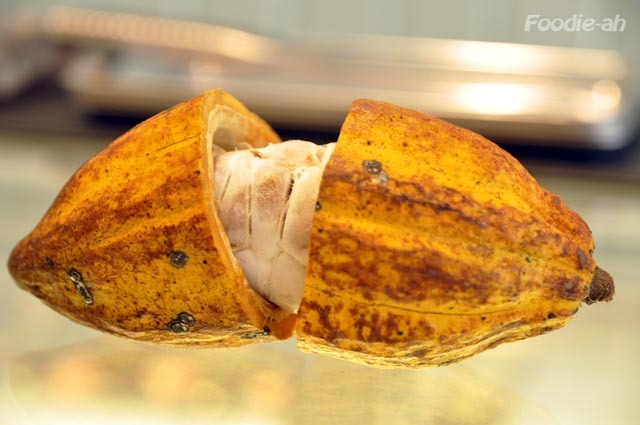 I loved the combination of the crunch from the winter melon seeds and the bitterness of the dark chocolate. This is tradition with innovation. After all, why would you come to Jewels, if not for something unique and innovative? Finally, the single yolk and black pearl chocolate mooncake. Note that the single yolk has been gently squeezed to flatten it across the whole surface, just so that none of those you will be sharing it with will remain disappointingly yolkless! Once again, nice contrast of texture, with a bit of a modern twist. Now, coming to the snowskin mooncakes... Last year, after many disappointments with snow skin mooncakes, I made a promise: I would only buy snowskin from the Raffles going forward. I have really tried about 6-7 different ones, and despite the fact that the price doesn't vary significantly, I only had bad experiences when eating snowskin other than the Raffles ones. Therefore, after so many attempts, I decided I wouldn't waste my money ever again. A year later, I know I won't be maintaining my promise. 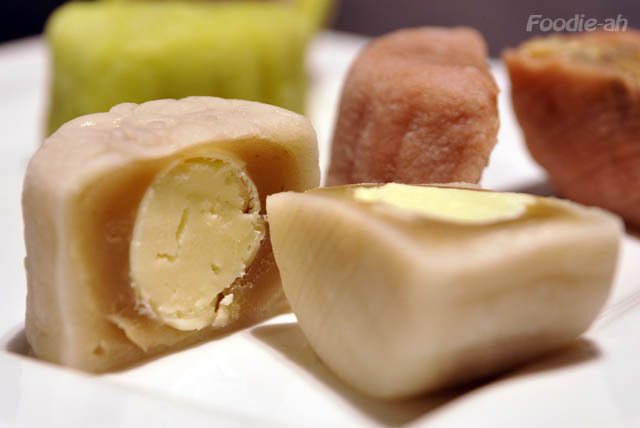 After all, the head chef at Jewels has been making mooncakes at the Raffles for many many years, so it's not that surprising that hers are at the same standard! The mini snowskin with white chocolate ganache is as good as it can get. 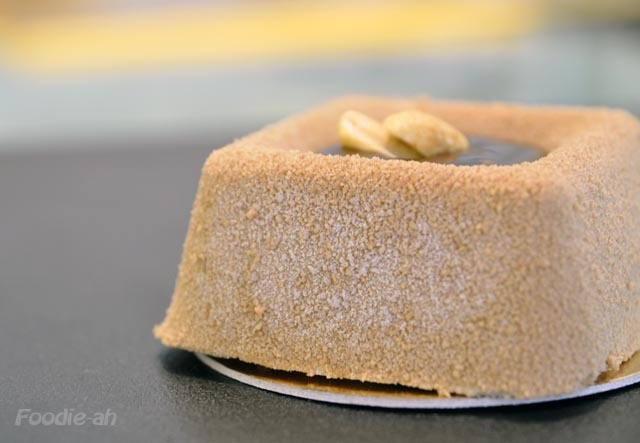 This is the "classic"out of the 4 varieties, and the beauty is that the white chocolate inside has not been sweetened with sugar, to create more balance between the already sweet lotus paste and the truffle core. To those who got acquainted with such bad practice, no more excuses for leaving the paste and eating the truffle on its own! The dark chocolate crunchy pearl has a palate teasing crunch to it, as the name suggests, and a mild minty aroma. 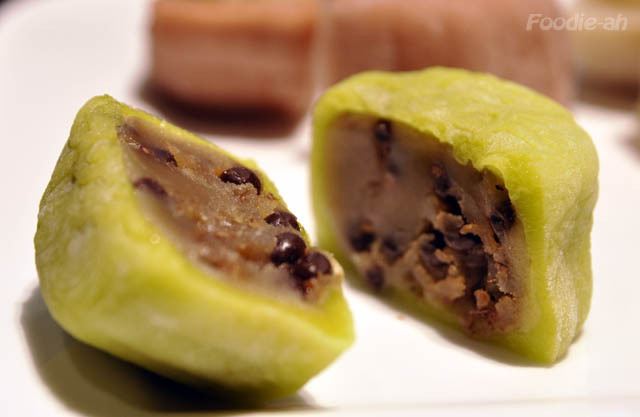 It's like eating a very mild after-eight in mooncake form, with more crunch. Those who have tried the Pearl Noir signature chocolate from Jewels, will recognise these little pearls. Those who haven't, should really taste what eating a perle noir is like. 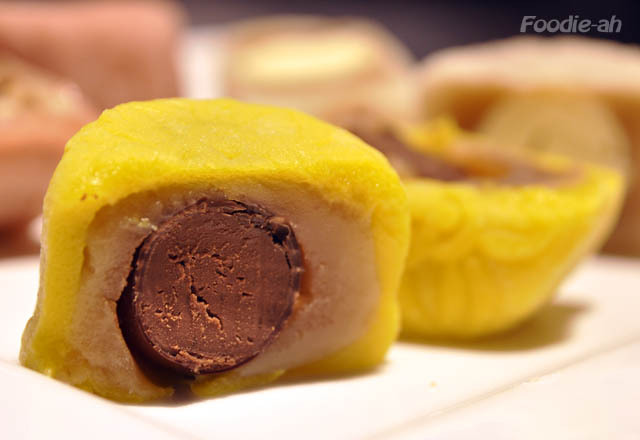 The espresso truffle mooncake has a very distinct and robust coffee taste, and will be the favourite for anyone who loves their coffee. Finally, the last one of this year's selection is my favourite: the salted caramel truffle. 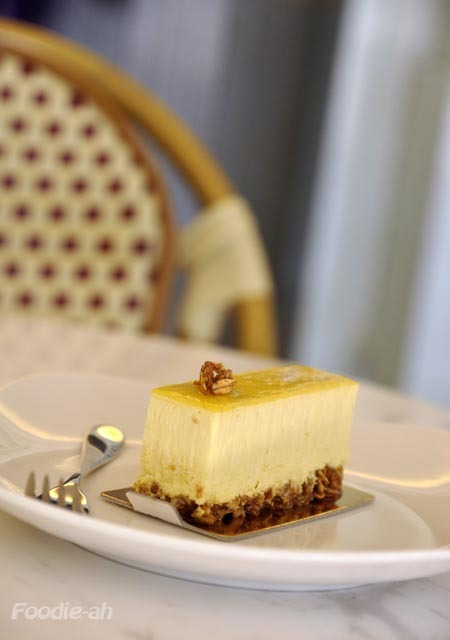 If you like the salty-sweet combination or you like salted caramel, then this is a must try. 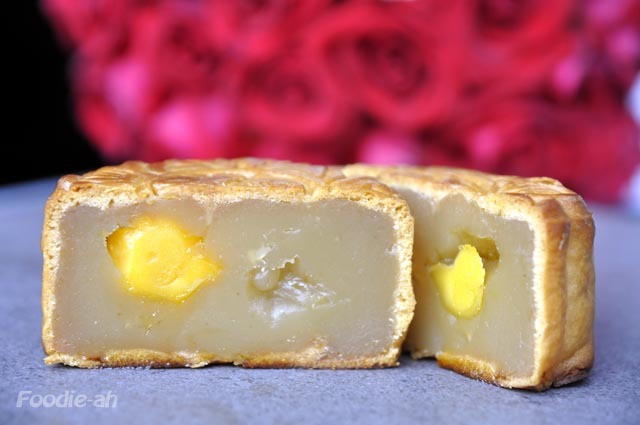 The core is uniquely salted with gentle and smooth palm island seasalt, and as you bite into the truffle, you can feel the saltiness oozing out of it, later balanced by the sweetness of the lotus paste. 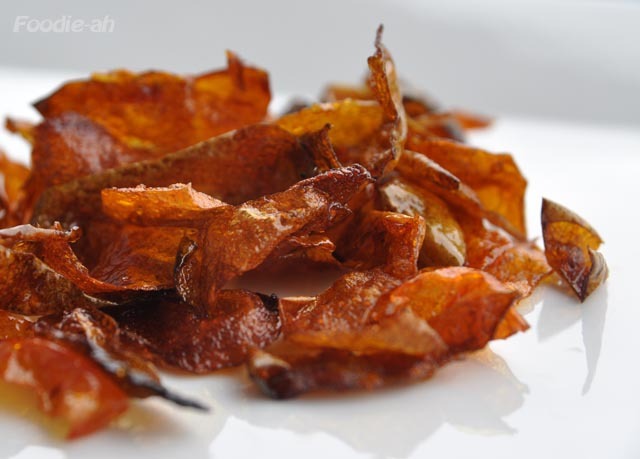 The lemon seeds add that traditional element of crunchiness to the whole experience. Well, what else can I say... I have already pre-ordered my assorted box!